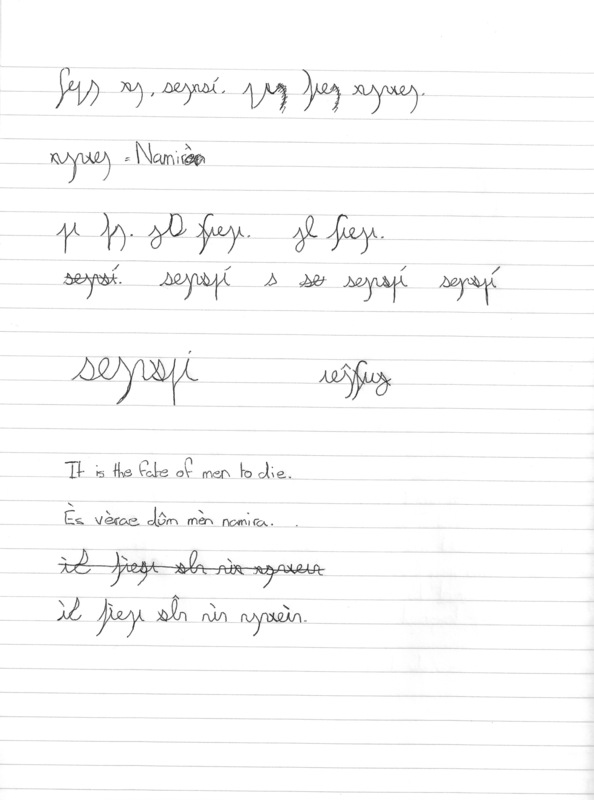 I’ve been practicing my Erâtheet. It’s surprisingly difficult to learn to write foreign symbols; I imagine it’s something like learning Japanese or Cyrillic. Anyway, my own handwriting’s not that neat – I would love to see what someone with neat handwriting could make of it! Want to try it out? Email examples to satiswrites@icloud.com!